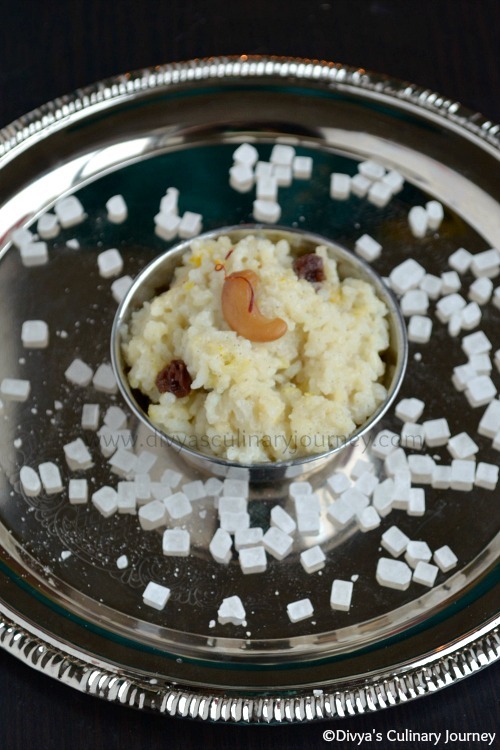 Sweet Pongal made with Sugar Candy (Kalkandu). Traditional Recipe for Pongal Festival. In a pressure cooker, roast the moong dal till slight aroma comes and then add the washed rice and 2 cups of water and pressure cook for 2 whistles. Then after the pressure is released, mash the rice well and add about 1 cup of milk and mix well and place the cooker on the stove and turn it on. Cook till the rice starts to thicken. In the mean time, powder the sugar candy and add it to the rice and mix well. Remove the cardamom seeds, discard the skin and powder the seeds with a tablespoon of sugar. Then add the powdered cardamom to the rice and mix well. Then fry the cashews and raisins in ghee and add it to the rice and mix well. 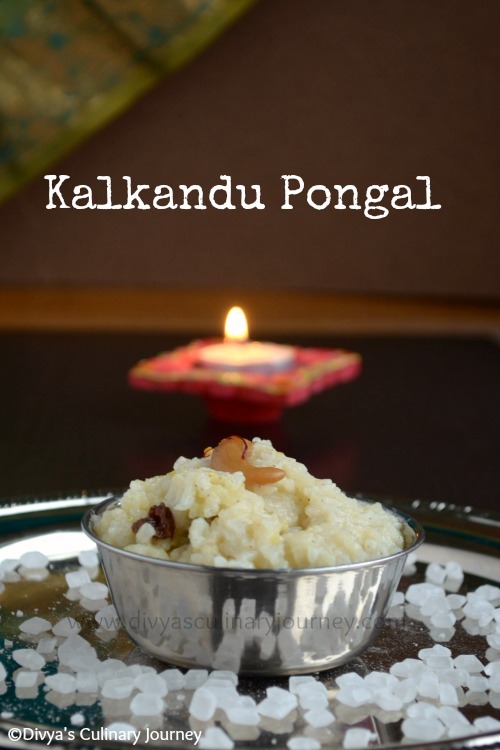 Kalkandu pongal is ready to serve. 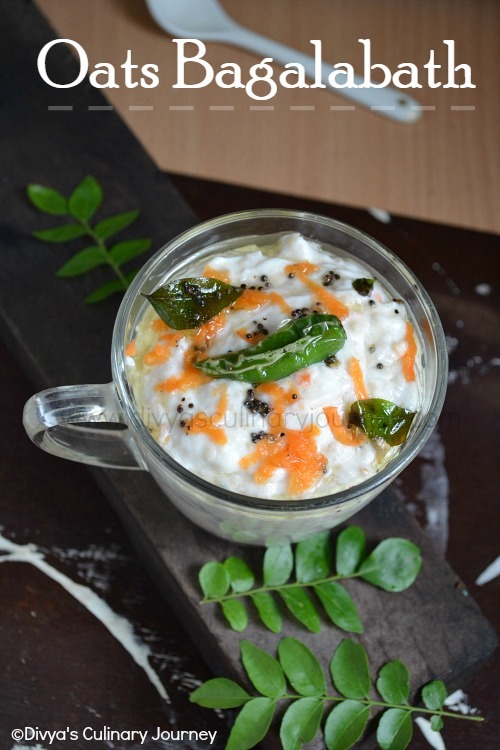 You can make this pongal without adding milk too. In that case you can increase the water quantity by additional 1/2 cup. If you are using diamond kalkandu, powdering kalkandu is optional. You can add them as is and they will melt. But powdering will speed up the process. While cooking maintain the heat in low-medium only, to avoid the pongal getting burnt at the bottom. For additional flavor, you can add few saffron strands and pinch of edible camphor too. I like the change of rock sugar for this delicious dish. Iniya pongal nal vaazhthukkal. pongal looks too tempting. pongal wishes to you dear, tempting kalkandu pongal!!! 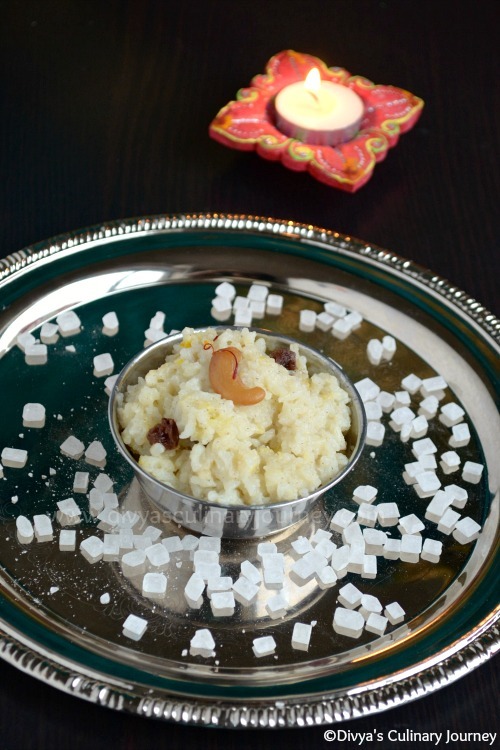 I am yet to try this pongal, looks very delicious..
Beautiful looking bowl of pongal :) Hope you had a great pongal.